Last month, Naomi Osaka appeared on the "Ellen DeGeneres Show" after beating Serena Williams and nabbing the US Open championship. During their chat, Ellen was able to get Naomi to reveal her celebrity crush. It wasn't easy, but after some probing, Naomi revealed she's crushing on none other than Michael B. Jordan. Can you blame her? 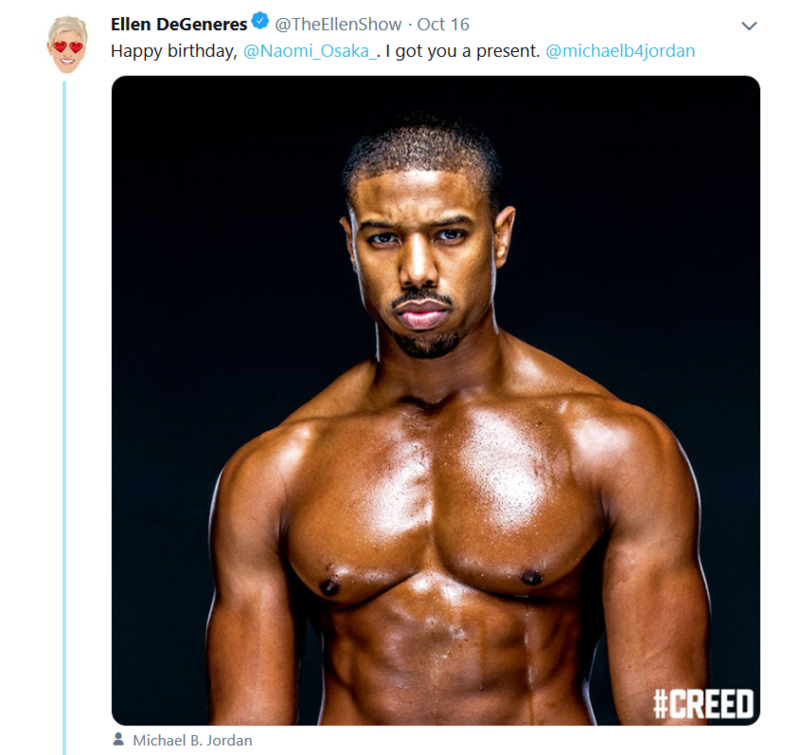 Well, Naomi's 21st birthday rolled around a few days ago and Ellen hopped on Twitter to give her a birthday present. 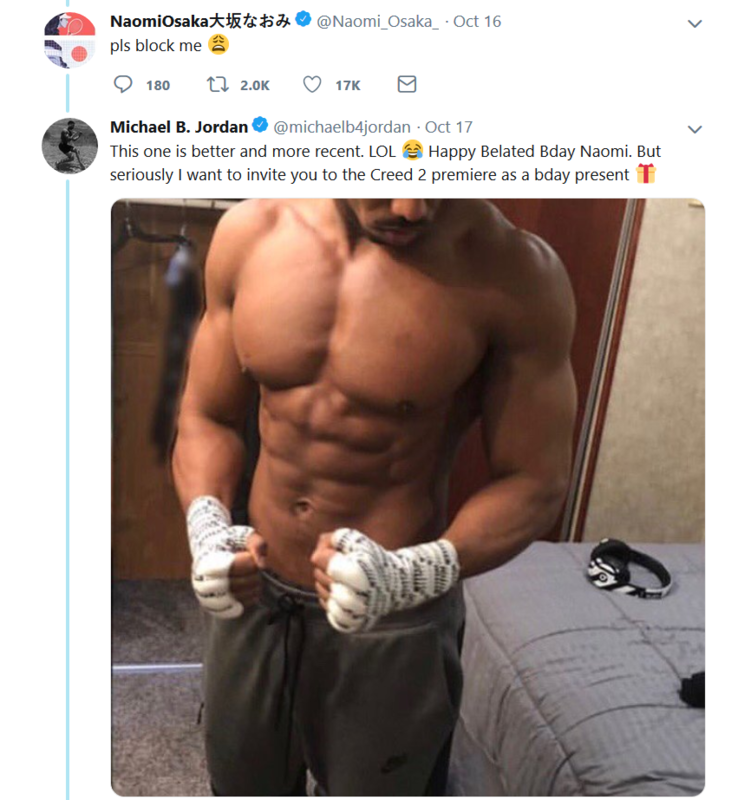 She posted a shirtless picture of MBJ attached with a Happy Birthday message and tagged the CREED actor. Naomi responded, "pls block me" with the crying emoji. Ha! Lordt! That CREED training has done his body MORE than good. Of course, she accepted...if he's serious. And Ellen dropped in to say "You're welcome." After reprising his role as Adonis Creed, the YBF hottie will transform into a hitman in The Silver Beat. It's a film adaptation of Derek Haas' book series that Michael will both star in and produce for Lionsgate. In the thriller, MBJ will play Columbus, a man who becomes a feared and respected hitman in the criminal underworld. PREVIOUS: SHEESH! What Type Of Melanin Sorcery Has Lupita Nyong'o Pulled On & In VOGUE Spain's November 2018 Issue? !